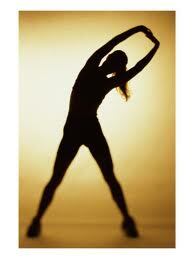 Exercise first thing in the morning BURNS the most calories and BURNS for a long period of time. If you are one of those people who exercise first thing in the morning, try doing it on an empty stomach. Ok lets clear up what early morning exercise is. Early morning is 5am, 6am, 6:30am. If you going to exercise at 9am, I suggest you eat an hour or so before you exercise. You could go a few steps further and drink 1 cup of strong black coffee before you exercise. The black coffee will give you a nice KICK which will aid you in your early workout. The other alternative is to drink a whey protein shake just before you exercise. You can drink whey before exercise whether you workout in the morning, afternoon or evening. Whey protein stimulates lean muscle growth. The more lean muscle you have, the more you can burn fat. I highly reccommend whey protein. If you are diabetic, make sure the whey is suitable for diabetics.